Coorg is one place on this earth where tourists looking for relaxation along with the occasional adrenaline rush can find something to do. Rightly named as the “adventure capital of Karnataka”, Coorg is the ideal place for an adventurous holiday. 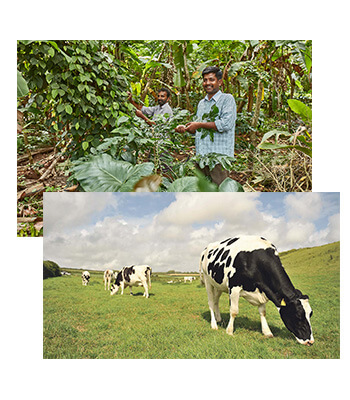 Nestled peacefully on the eastern slopes of the Western Ghats, the terrains of Coorg are hilly and green. The wooded slopes, the scenic vantage points and a rich and colourful local life captivates the imagination of every tourist who comes here. Its natural beauty along with the magnificent views makes Coorg a place you should visit once in your lifetime. From mountain climbing to jungle trekking, from river experiences to flying ones, from elephant camps to fishing, there is something that will please every visitor who comes here. Let’s take a peek into some of the top attractions here. 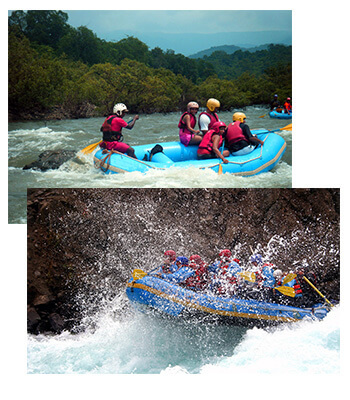 The Sixth Element is strategically located between Dubare & Nisargadhama where the actual rafting happens. It is generally organised during monsoon between July to October. Here anything we do, safety is the paramount and we also ensure that safety equipment like life jackets & helmets will be provided and its mandatory to put them to use. The rafting lasts about two to three hours depending on the current of the river. One can get to experience about 5-6 rapids which will be a cherishing and an experience that lasts lifelong. During the non-monsoon days we also organise still water rafting. This activity is subject to clearance from authorities. A world famous Dubare Elephant Camp is about 15 mins drive from The Sixth Element. 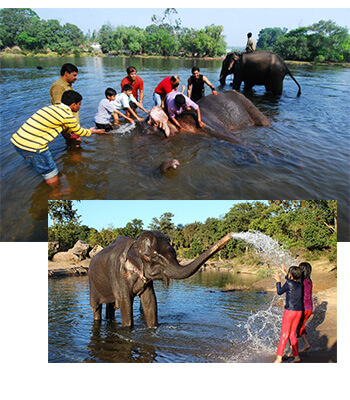 The Karnataka Forest Department has about 150 Elephants in various camps and Dubare has been historically an important camp. A trained Naturalist is at hand to explain the various aspects of Elephant history, ecology and biology. The visitor can not only observe and learn but also participate in various activities involving Elephants and can enjoy a small ride on the mammoth itself. 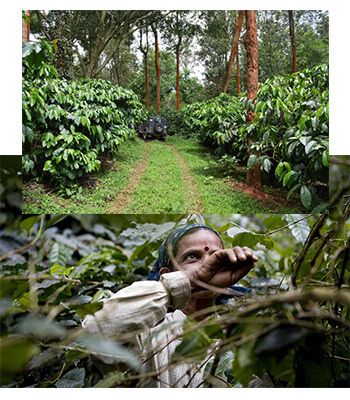 Coorg coffee plantation tour provides you an opportunity to witness complete journey of coffee. If you planning to be her between April and November, you’ll get to pick Arabica bean, and Robusta if you go between December and March. You’ll be taken in a 4×4 vehicle, exploring the terrain, stopping to check on the kind of soil, the moisture, the plant itself and of course, picking what is ready. You’ll even be taken through a tasting process of the different kinds of coffee, and get tips on how to brew the perfect cup of coffee. In addition you will be shown Cardamom plants, the Pepper and Vanilla Vines and told in detail about how these are grown and processed. The Sixth Element’s Guest Services Manager will assist you depending upon your interests & needs. 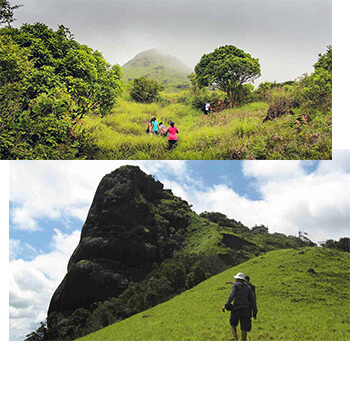 Exploring Coorg by trek will bring great pleasure to you as the region offers a rugged terrain to explore. From easy to moderately difficult, to treks that test endurance, you can choose the one that pleases you the most. With dense forests spread across the region, it should be no surprise that this place is home to amazing species of plants and animals. Trekking in Coorg also becomes exciting because you get the opportunity to witness this amazing biodiversity of the Western Ghats, being named in the list of the eight best hotspots of biological diversity, are a testament to the diverse species found in the area. Safari inside the jungle is organised with prior notice. 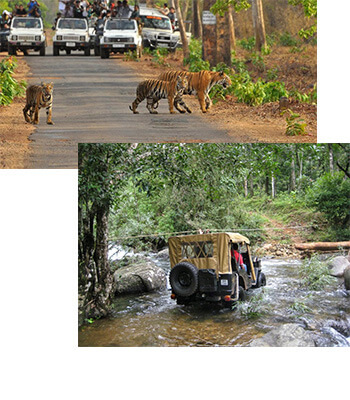 One can take safari either early in the morning between 6 am to 9 am or late in the evening between 4.30 pm to 7 pm. These timings are recomended so the one can get to spot the maximum of wil life in the jungle. Animals like wild Elephants, deers, bears, bison, leopard, peacocks a lot of variety of birds and if lucky even a Tiger. 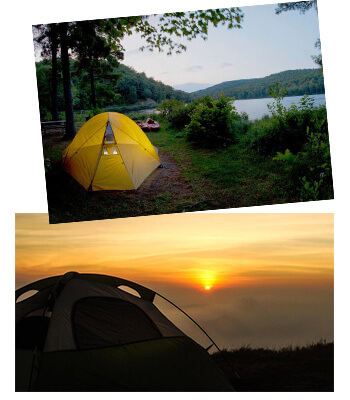 Tents and camp fire shall be arranged by the backwaters of Harangi dam also barbeque on request. an ideal place for half day picnic. 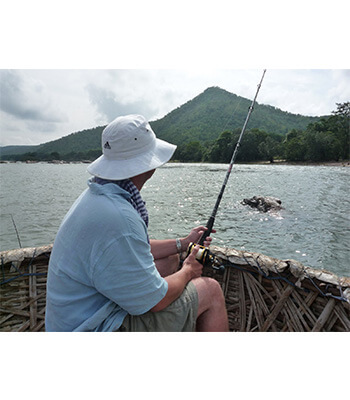 Coorg adventure club has recomends a fishing camp near Valnoor which is about 20 mins drive from The Sixth Element. With prior notice fishing can be organised with coracle. You can indulge yourself in the farming activities The Sixth Element, like sowing, harvesting, pruning, manuring, de-weeding etc. One can also feed and milk the cows if interested. 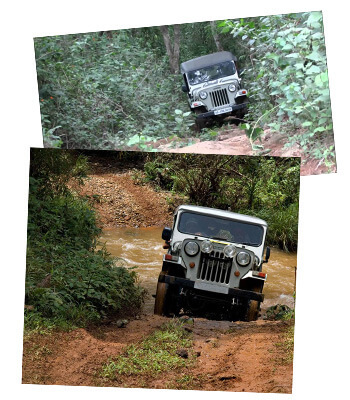 The terrain in Coorg is apt for hill, rugged and slushy driving experience. We take you in a 4 wheel drive vehicle in some of the toughest terrains with prior notice. Coorg is home to a lot of species of birds. 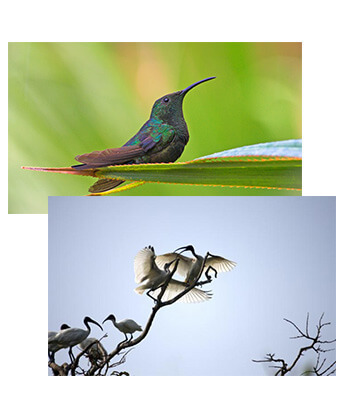 The western ghats is home to over 500 species of birds. With prior notice permission from forest dept shall be obtained for birding.